If you live in Conyers or the surrounding area in GA, then you have picked the perfect site to find a low cost alternative for veterinary care. 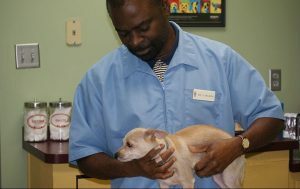 Dr. Conrad Wilson is a licensed veterinarian, treating all types of pets and animals. Your pet's health and well being is very important to us and we will take every step to give your pet the best possible care. Call us today at (770) 483-7562 for more information.